In the past ten days, Sugar Bowl has had over 172″ – or 4.4m of snow with a total this season so far of over 700″ – which is a whopping 17.8 metres! 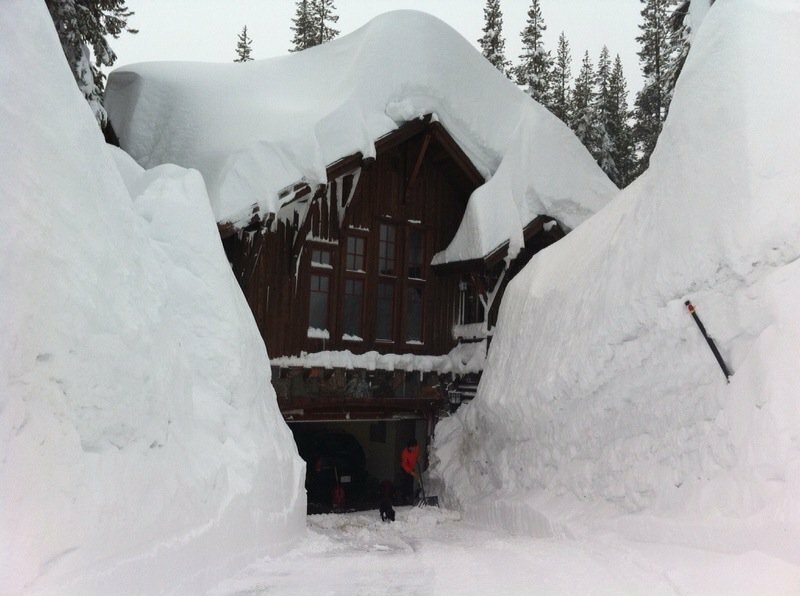 Since getting back to Truckee after Whistler, there has been too much snow to be able to train but plenty of snow to shovel. Heading out today to Colorado to attend the US National Championships which start on the 31st March with a giant slalom at Winter Park. 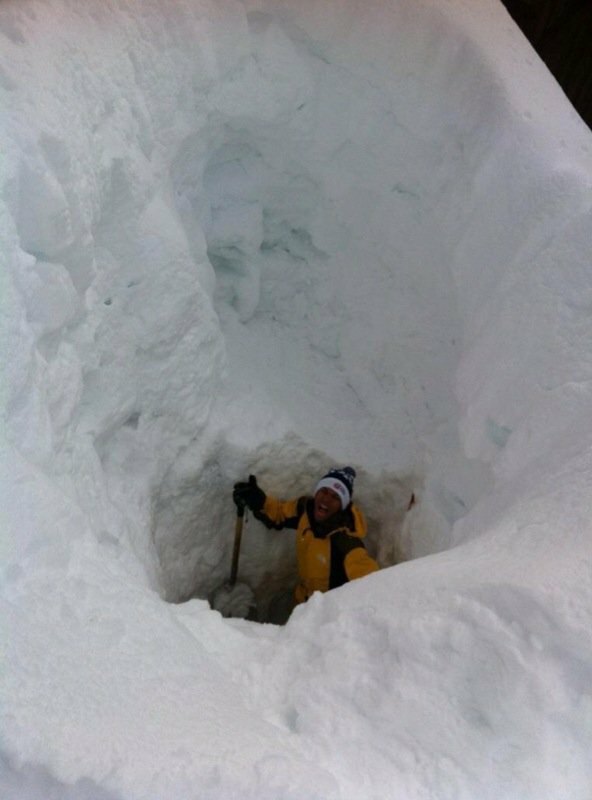 Mallory Duncan digging out the propane tank which is 9 feet off the ground.